FBI rules prohibit hiring marijuana users, but many desirable cybercrime experts use the drug. 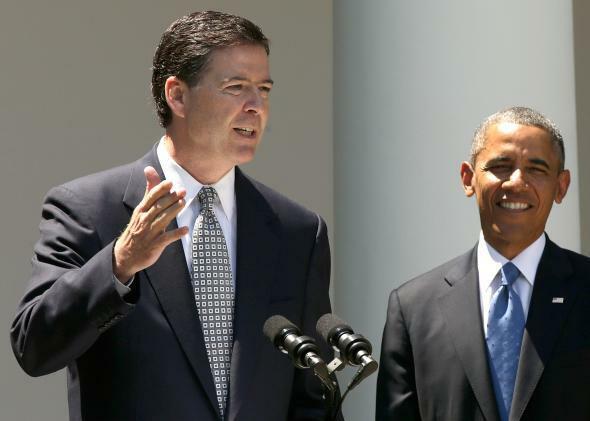 Obama and Comey. One smoked pot as a teenager, one isn’t at liberty to say. FBI Director James B. Comey has a problem on his hands. Congress has approved a plan for the FBI to add 2,000 employees, and many of those new hires will be cybercrime experts. But the agency’s long-standing no-marijuana policy is apparently limiting the talent search. It turns out that programmers, white hat hackers, and cybersecurity experts generally tend to enjoy partaking of the reefer. This week at the White Collar Crime Institute, an annual New York City Bar Association conference, Comey said that cybersecurity is an important priority for the FBI, but that the agency may need to re-evaluate its hiring stance when it comes to marijuana use. Currently anyone who has used pot in the three years before applying to an FBI job is automatically disqualified from consideration. Marijuana use is problematic for cybersecurity hiring in other government agencies, too, especially now that states like Colorado have legalized it. But so far the Obama administration has upheld the hiring policy. On the one hand it seems like we should want the absolute best people working on national issues of cybersecurity. On the other hand if they’re gonna be high all the time (because recreational drug users always show up to work high, right?) their sense of urgency may be kind of off. And then you think about the fact that people make terrible cybersecurity decisions no matter what state of mind they’re in, and it all seems kind of hopeless and frustrating. I need a drink.